Whatever your ride, Lowdown Hot Rods has a solution for you. Regardless of whether you're looking for a frame, a complete rolling chassis or just chassis upgrades, we can provide you with a solution. You don't have to be limited to a stock frame configuration as, depending on application, we can custom design and build one completely out of tube. 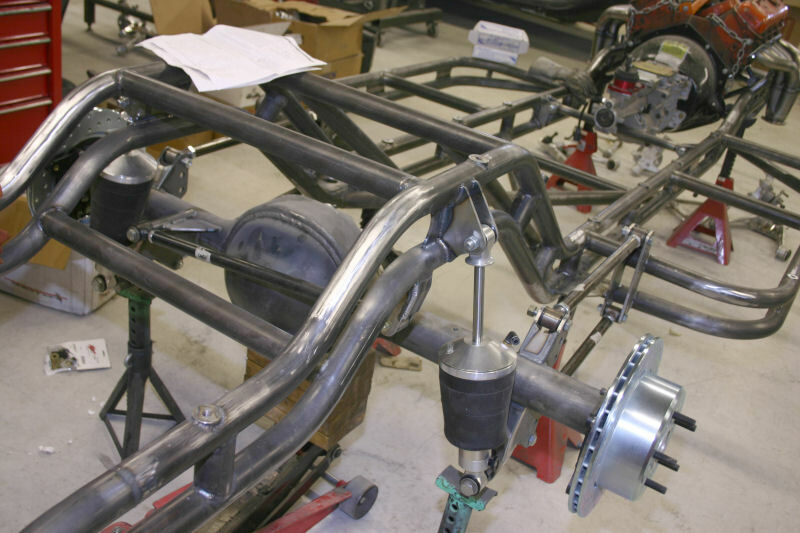 While we have extensive experience with Model A, '32 and '33-'34 Ford frames, we have built and modified for wide variety of makes, models and years for both street and race applications. To complement your frame, regardless of your preference and the style of your project, we can provide you with a suspension that works - be it axle or independent, conventional or air ride. So, whatever you're after, talk to us first.